Home › Cruise News › Let Us All Go Shopping, Aboard Britannia! Let Us All Go Shopping, Aboard Britannia! 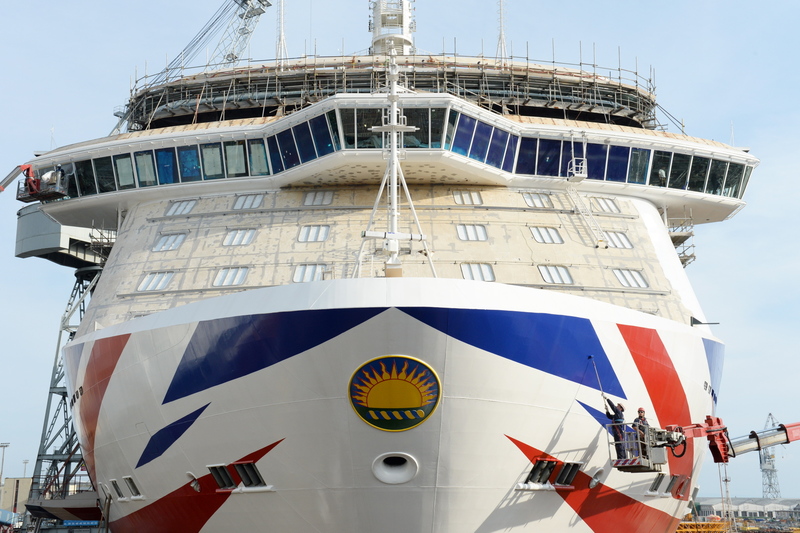 Contemporary British brands such as Crew Clothing and The White Company will be sailing on board P&O Cruises new ship Britannia. Britannia will feature 720-square-metres of dedicated retail space featuring a variety of contemporary new brands alongside some perennial P&O Cruises’ favourites. · Crew Clothing – the go-to label for luxury British casual-wear loved by celebrities including Kate Middleton and Ben Fogle. · The White Company – makers of impeccably stylish, beautifully designed clothing for over 20 years with an attention to detail that extends through everything they do. Their onboard range will include super-soft joggers, t-shirts and hoodies in the finest-quality cotton which are perfect for relaxing on deck or exploring on shore. · Desigual – a Spanish clothing brand noted for its patchwork designs, intense prints, innovative graffiti art, asymmetrical designs and flamboyant splashes of colour. Celebrity fans include supermodel Bar Refaeli and Suri Cruise. Guests will be able to browse t-shirts, tunic tops, summer dresses and accessories such as scarves and a range of bags including holdalls, handbags, clutches, wristlets and purses. · Rituals – offering a luxurious collection of high quality products to enrich body and soul, from body and facial care to scented candles and perfumes to gemstone make-up. The company hopes to inspire all Britannia’s passengers with their innovative product line and transform their daily routines into beautiful, meaningful moments. · Chopard – a Swiss-based luxury watch, jewellery and accessories company founded in 1860. Jewellery: Carat London; Beaverbrooks; Pandora; Swarovski; Ralph Lauren Jewellery; Italina; Clogau; Buckley London; Audrey Hepburn. Watches: Omega; Chopard; Citizen; Tag Heur; Raymond Weil; Michael Kors; Longines; Tissot. Clothing , Accessories and Bags: Crew Clothing; Joules; White Company; Desigual; Ralph Lauren; Radley; Fiorrelli; Harrods; Michael Kors; Fossil; Ribkoff; Armani Jeans Bags. In other words, bring your wallet along. Wonder if they will have any sales?